Home News Details finally released: What the Clan Bank is actually for. Details finally released: What the Clan Bank is actually for. After many months of waiting, Sledgehammer Games has finally announced what the Clan Bank will be used for. There has been so much speculation surrounding this including a lot of confusion as to why it was taking so long for them to finally tell us what it’s all about. So far, all active clans will have been earning tokens that have been accumulating in your Clan Bank. Over the coming weeks you will finally get to spend them. For those of you who prefer a written version please see below this video. 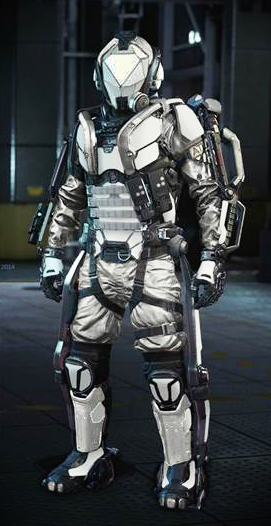 The next addition to Clan play in Call of Duty Advanced Warfare is Clan Raids. These are time based challenges that are coordinated via your Call of Duty app and can be participated in at any time. The tokens you have in the bank will be used to buy your way into these events with a lot of rewards on offer if you are successful. So for those of you that are fed up with the nonstop issues with the Clan Wars this is a great alternative for your clan, particularly given the fact that you are not tied down to specific dates and times. The first raid is due to kick off on March 9th but initially this will only be available to clans that have finished in 1st, 2nd or 3rd place in the Diamond Division of the Clan Wars. Those clans will be the test subjects for the raids I guess, with the rest of the clans being able to participate shortly after that. No date has been given as of yet for when that will happen but I would suspect it would be no more than a couple of weeks after so keep your eye on your app for further updates. My understanding is that only your Clan Leader will be able to enroll you into these raids, so if you are eligible for the first raid on March 9th I suggest you bring this to your Clan Leader’s attention. The concept of the raids is basically that they are timed events with set objectives which only your Clan Leader can enroll you in at any time. Over the coming weeks new raids will be added so be sure to give your feedback to Sledgehammer Games and Beachhead Studios, as we can sometimes be instrumental in helping shape the structure of new additions to the game by speaking up and putting our ideas out there. As usual though, there is not a great deal of information on offer about the exact mechanics of how all of this will work, however you can be sure that once the raids launch I will put together a guide for you explaining the whole thing, so be sure to check back in here after launch date.